The Supreme Thing is a building in the Clan Stronghold which allows any Clan member to relocate enemy Towns out of the Valley of the Aesir. The higher the Supreme Thing’s level, the larger its dominion — the area from which you can exile unwelcome Jarls. You also have a chance to get them by attacking Uber Invaders. 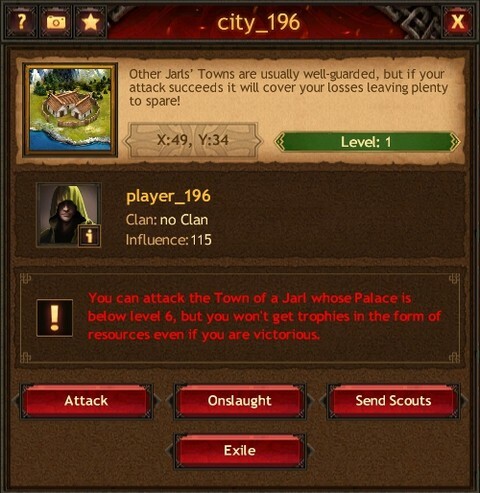 When you have enough Wax Seal items, you can select a Jarl’s Town located within the dominion of the Supreme Thing and click the “Exile” button in the window that appears. After that, the Town will be relocated from the Valley of the Aesir to a random point on the Global Map.